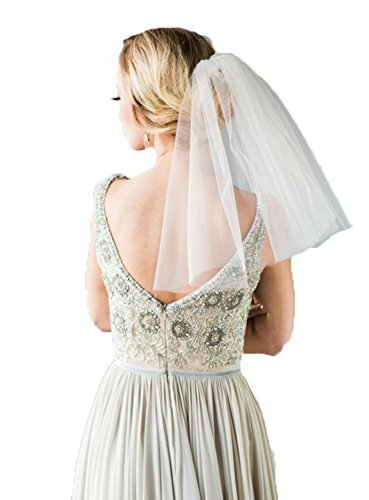 Short Bridal Wedding Veils For Women. These Items are sold by AIBIYI.We will offer the high quality products and service. 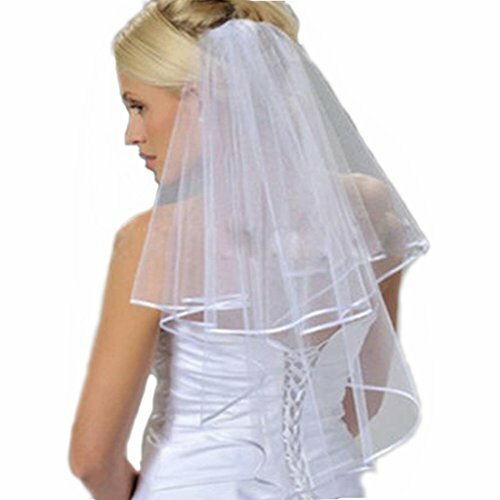 Note: we update this veil , it come with metal comb . 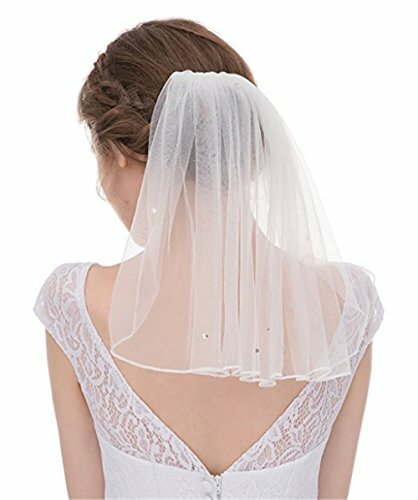 Short Bridal Veils . Color: White/Ivory. Please do not hesitate to contact with us if any questions about this veil. 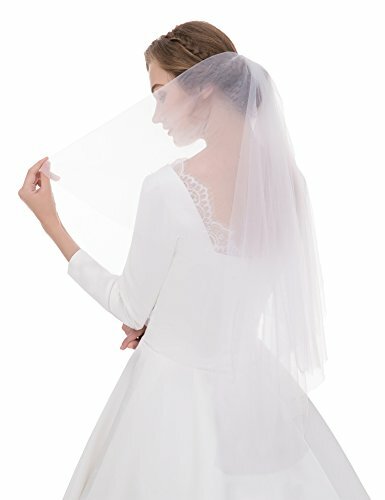 Fabric: soft tulleVeil tier: two-tier with Comb Veil length: long length:30"-31"inch(76cm-80cm),short length:24"-25"inch(61-65cm),width59"inch(150cm) Edge style: cut edge,center gathered Available color: ivory,white Package: eco bags Best match dresses: A-line,ball gown,princess,sheath/ column,trumpet/ mermaid This is the promotional product. only accpet the one order for one veil. if you need more, please make more order. thank you. 1,Huichengyaodress Specialized in Wedding Dress Evening Dress Prom Dress Party Dress Cocktail Dress And Other Special Occasion Dress. 2,Notice All Our Dress Are Handmade So The Size May vary by approximately one inches in either. direction of the measurements.Please Kindly Check the Us Size Chart Befre Making The Order. 3,The real color of the item may be slightly different from the pictures shown on website caused by many factors such as brightness of your monitor and light brightness. 4,Refund Policy:We Only Accept Fully Refund If The Dress Not As Description Or wrongly Finished.The Size Be Wrongly Choosed By The Customers Themselves Will Not Be Match The Policy.So Please Kindly And Carefully Check Our Size Chart Before Placing The Order. We are professional in producing and selling wedding dress and prom dress, also with wedding accessories like petticoats and veils ,gloves for decades. If you have any questions, please freely contact us by email, we will reply your email within 24 hours. 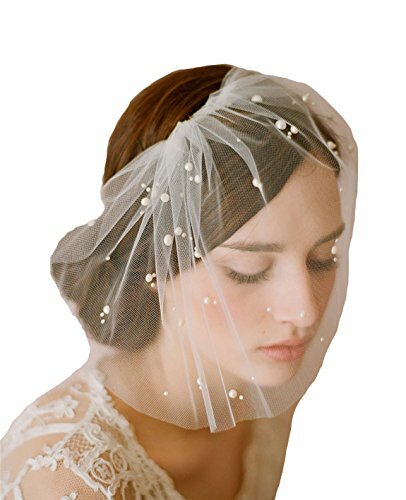 Perfect Short Tulle Birdcage with Comb Bridal Pearl Wedding Veil Headwear for Bride,Highly Recommend This is a perfect retro & vintage design veil bringing you elegant & fashion feel, just what you are looking for! It's suitable for the wedding dress which makes the bride more charming and eye-catching. Free Size Notes: 1.Please allow slight manual measurement deviation for the data. 2.The real color of the item may be slightly different from the pictures shown on website due to different monitor display,thanks for your understanding. 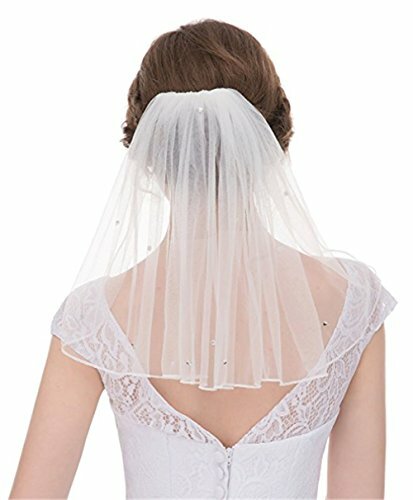 If you have any suggestions or question about this veil, please contact us freely. Welcome to your inquiry and orders! 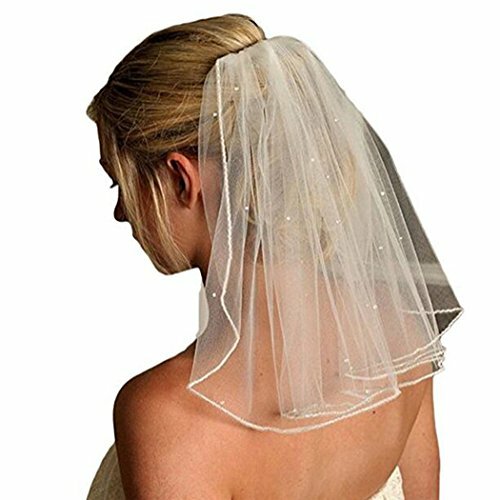 Color: whiteSize: LxW - 40x27cm/ 16.54"x10.63"Material: Veil and artificial diamond Packaged included: 1x birdcage bridal veilMade of premium soft tulle and artificial diamond, elegant & comfortable.Comb is attached firmly and it is very stable with the veil.Perfect for many wedding,festivals,party,cocktail,photography,fashion show,holiday and even a great hair accessory for everyday wear.